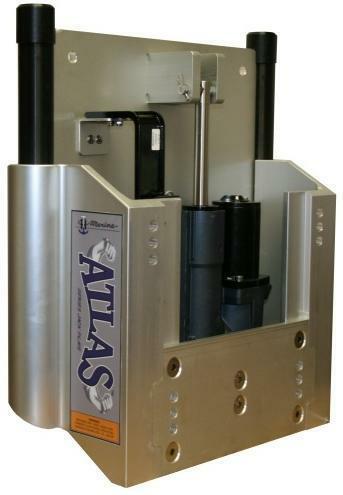 T-H Marine's ATLAS hydraulic jack plate is truly the next generation in jack plate design, built for the heaviest and most powerful V6 engines on the market today, even the big four strokes. Our innovative high tech engineered polymer rod and slot lifting design guarantees trouble free action. This plate also features the newest concept in one-piece hydraulics from the most respected name in hydraulic design, providing the best of all worlds: Speed and Self contained lifting action. This all new pump will lift the heaviest outboard from bottom to top in less than 8 seconds. Hydraulic actuator is made in the U.S.A.